This year I’ve been lucky enough to be asked by The Reading Agency to be a Community Giver for World Book Night (which is tonight, April 23rd, 2014). As I love reading, writing and books with an absolute passion, I feel honoured to be among thousands of people across the globe – on this night – giving away FREE books to people. Yes! Free books being given away! Tonight! I mean, come on, what’s not to love about that? 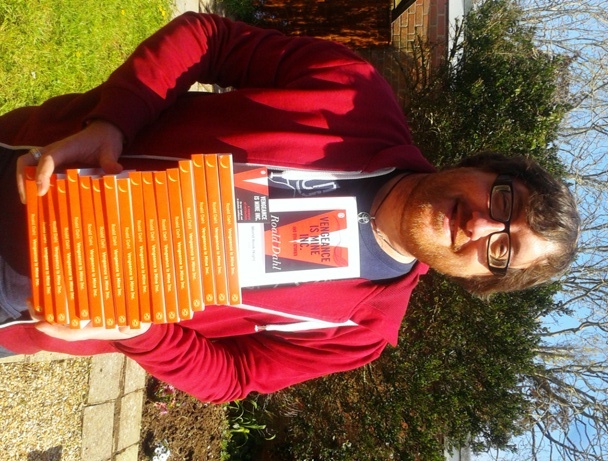 As World Book Night is about promoting and giving the act of reading to people who either don’t do it, struggle with it or simply can’t afford to do it, I feel so pleased to be giving my chosen books (I’ll tell you which book I’m giving away in a mo) out for the “teen and young adult” category of WBN. I was chosen to be a “giver” for young adults because, for the past year, I’ve been working in Dorset in the UK with Autistic, disaffected and physically/mentally challenged young people. I’ve been doing youth work – as well as writing – on and off since about 1998. But this past year I’ve been running a special project using the creative arts, writing and film to help those not in mainstream education, training or work. The project has helped many young people onto special vocational courses, has paid for them to have dedicated one-to-one business mentors, got them jobs and apprenticeship placements, and included those with mental health problems, behavioural and drink/drug issues in more activities such as parkour residentials, visual art creation and – in particular – a brilliant Movie-making Academy. I’ve become very attached to these amazing, lovely and inspirational young people and so, as they’ve achieved a lot, I thought it was right they should be given some book rewards for being such great members of their local community. 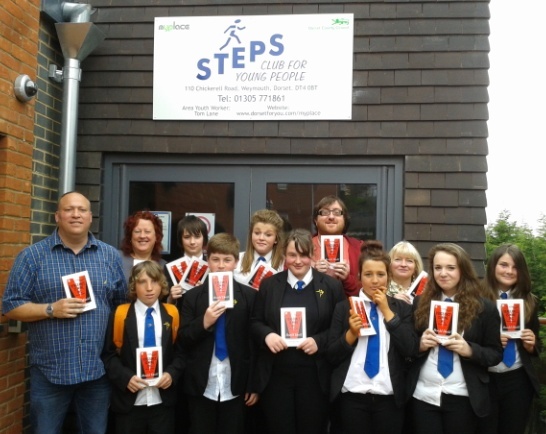 I gave books away to them as well as a group of children from Budmouth School in Weymouth, all of whom are on a special learning development programme at Steps Youth Centre for those struggling with learning. 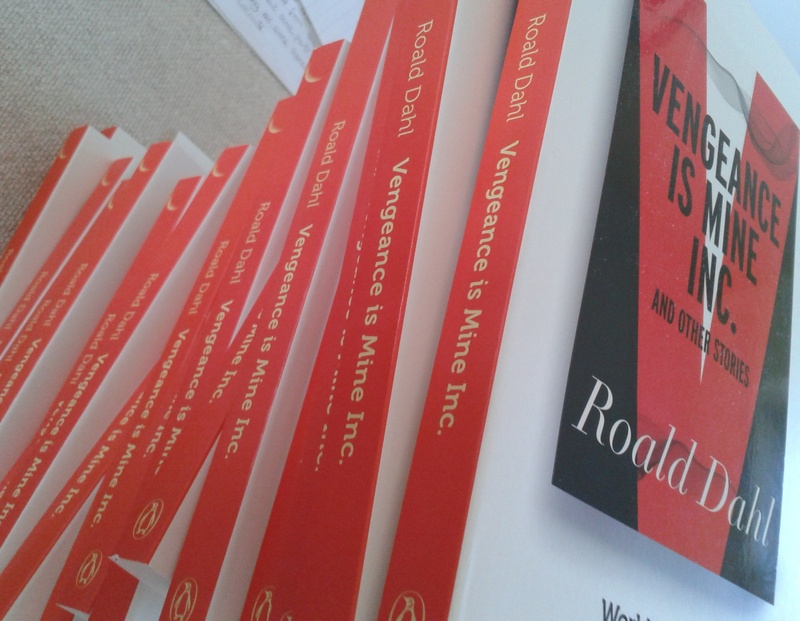 The book I chose to give away FREE tonight is Vengeance is Mine Inc. and Other Short Stories by Roald Dahl. I chose this book because a) every child and adult has heard, read or experienced a Roald Dahl story in their lifetimes at some point. He is very well-known (therefore making it MORE likely the young people will actually give the book some attention), but not so well-known for these young adult stories. They are far more darker, sinister and adult in nature than, say, my favourite Dahl book Danny the Champion of the World. So, yes, I’m giving away Roald Dahl stories and hoping to give some people brand new experiences of the famous children’s author’s stories. I think this is especially fantastic because I’ve done lots of storytelling at the brilliant Roald Dahl Museum & Story Centre. Please visit if you haven’t – its sooo good! If you’d like to see ALL the books people are giving away tonight then please go here for the list. They’re all great books, but in particular – as well as Roald Dahl – I’d recommend Matt Haig’s The Humans. 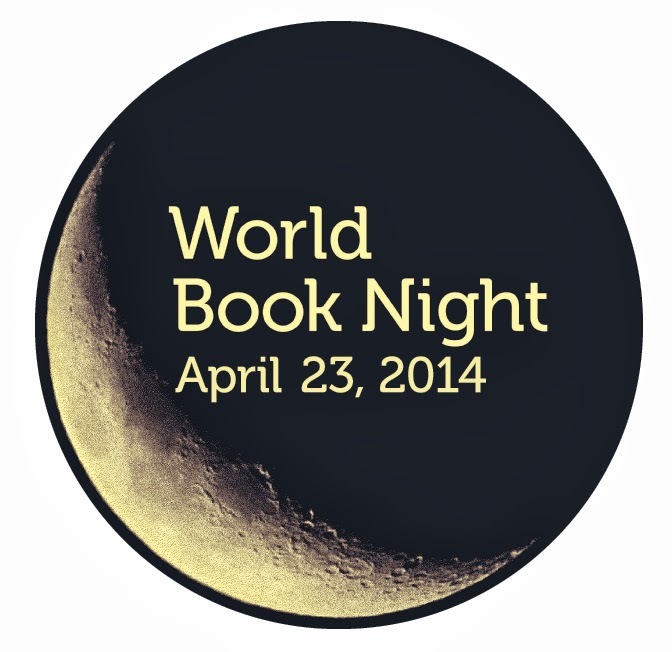 The World Book Night tagline is “Because everything changes when we read”. And, you know, it may sound cheesy, but it really does. Not only does your mind change because you’re heading into an unknown, exciting adventure being played out especially for you – and by you in your own way – but because you’re widening your mind with so many stories and it means you experience the real world in a much brighter, open-minded and colourful way. Your attitude to life is more positive. This is a fact that I haven’t made up. So, happy readers, whether you’re being given a book tonight, receiving one or already reading one, please be thankful for it. Read it, enjoy it, imagine it, get lost in it and tell people about it. Then – if you like – pass it on to someone else to experience what you have. Next postJekyll or Hyde: writing children’s middle-grade or young adult fiction?